Back In The Gi » Blog Archive » Counting in Japanese. 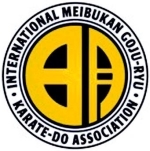 In addition to learning basic techniques, kata, and drills, students of traditional karate need to learn many Japanese terms (such as the names for basic techniques, kata, and drills). This includes being able to count to 10 in Japanese. Now, sometimes people forget how to count in Japanese. That’s ok. But sometimes they forget while the rest of the class is stuck in a painful stance or a strenuous position. For those times, I say: PLEASE STUDY! To be fair, some Japanese folks have trouble counting in English as well — but don’t laugh, OR ELSE!